Horizon Builders has spent over 30 years producing architect-designed legacy homes that unite and empower architects, craftspeople and clients. The building blocks of Fritz’ education began when he was a boy at his father’s ladder. The family owned several rental units, and Fritz spent his weekends doing tasks like replacing hot-water heaters. Yet when he graduated from the University of Maryland Baltimore County (with a bachelor’s degree in psychology and sociology), he signed up to be a Maryland State Trooper. He kept building on the side and opened the Crofton, MD-based Horizon in 1982 with CPA Joe Bohm, who as president and CEO handles the business side of the bricks and mortar. The 65-employee company was named “2009 Builder of the Year” by Custom Home magazine and inducted into Builder Magazine’s William S. Marvin Hall of Fame. The sister company of Horizon Builders, Horizon HouseWorks, is a popular maintenance-repair and renovation company managed by its president, Geary Deptula. Fritz relishes every construction challenge that is thrown his way because it gives him the opportunity to increase his knowledge base. “I have done extensive research on building science, and I have taken numerous courses through the years,” he says. “And when I can’t figure something out, I consult with the best experts in the field.” He has also put his own ideas, particularly in the areas of waterproofing, insulation technology and air barriers, to the test in the company’s lab and has a number of patents in process. “I’ve gone so far as to build walls to test materials and methods, and I’ve put products through various torture tests,” he says. Fritz says the ultimate measure of Horizon’s expertise is in the long term. While Horizon has refined and expanded its knowledge base, it can still be proud of the houses it built decades ago. There was another element that the owners wished to remain silent: The air conditioner/heating unit. “We didn’t want lined ductwork because it gathers dust and mites,” says Fritz. “So we made the ducts larger to slow down the air but still swift enough to handle demand. This was in 1993, so there were no variable-speed fans available; we had two-speed fans and one compressor.” The air returns and grilles were designed to blend in with the floor and walls; some of them were worked into the fretwork of the trim. Sometimes it is not so much what you do as how you do it. Because Horizon Builders has been constructing homes for decades, the greatest challenges are not always the ones on site. This became apparent in the renovation and addition of a ca. 1920 house in Washington, DC’s affluent Foxhall neighborhood. The new owners, who had five children, wanted more room and a more modern look for the 4,500-sq.ft. home, sited on one-and-a-half acres. 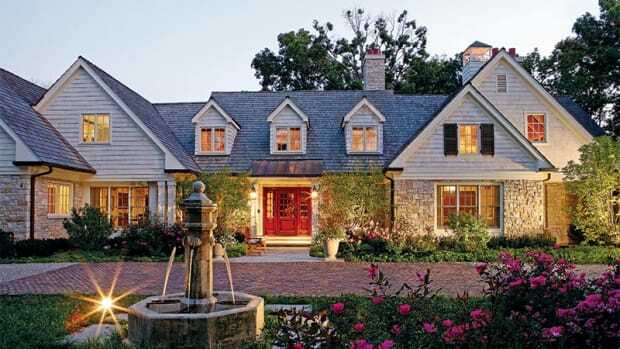 Barnes Vanze Architects, which is based in Washington, DC, created a plan that tripled the size of the house by adding a two-story wing to accommodate a master bedroom suite, kitchen, family room and gym without compromising the look of the original two-story structure. To make sure there were no ruffled feathers, Horizon Builders engaged in a major public-relations effort, and as it does on every project, handled complaints immediately. “We went door to door, which is something we always do, and gave out our cards that have our cellphone numbers and encouraged the neighbors to call us any time, day or night, if there was a problem or concern,” says Fritz. 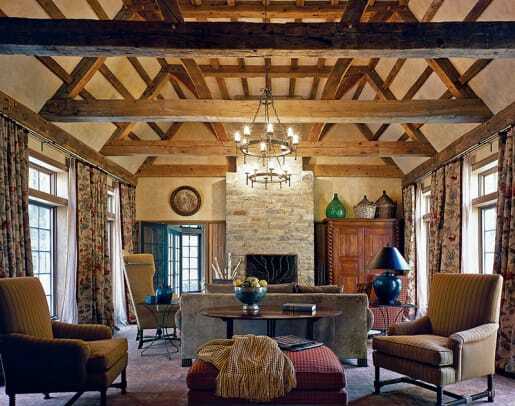 Making a new-construction look old is one thing, but making it feel its age takes a lot of insight and collaborative pre-planning between the architect and the builder. The new-old house in question, a two-story 10,000-sq.ft. English Country-style stone structure, set on four acres in McLean, VA, was designed by Russell Versaci Architecture of Middleburg, VA. The property, which includes a creek, is filled with underground natural springs, and Horizon Builders devised a secure waterproofing system so the house could be positioned on the prime part of the site. The tall chimneys, which conceal the plumbing stacks, have delightfully intricate pigeonholes that bring in and expel air from the mechanical systems. Vents are hidden in the stonework. Set on 100 acres by the Rappahannock River in Hume, VA, is a house that seems to define and defy time. Within its three structures, some 7,000 sq.ft. and several centuries are seamlessly spanned. The main house, in the Greek Revival style, is flanked by a red-brick Colonial addition and a ca. 1680 fieldstone smokehouse that serves as a garage and office. 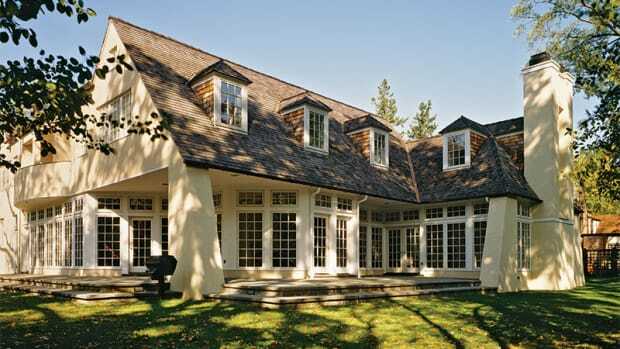 Designed by Russell Versaci Architecture, the new house gets its old-world style from great attention to details. “From the brick mortar mix on the exterior to the width of the wood-plank floors, everything is historically correct,” says Sari. “The textures and finishes define the house. We spent a lot of time finding the right craftsmen to execute them.” Reclaimed brick pavers were used as flooring in the breezeway, heating and air-conditioning components were secreted, and veneered plaster was used to cover the walls. Despite the old-style treatments, the house is extremely energy efficient. “We did such a good job that some visitors think the house was always there,” says Sari. 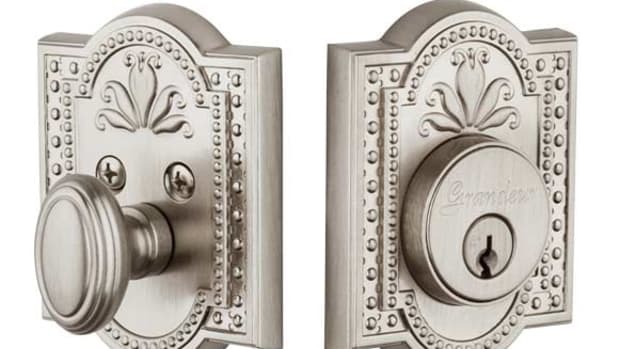 When it comes to new construction or renovation and restoration projects, good design is just the beginning. 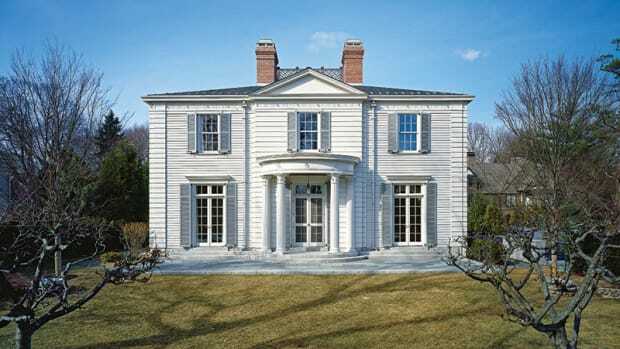 Finding trustworthy custom builders of new period homes is the difference between success and failure when it comes to bringing architects’ visions to life.